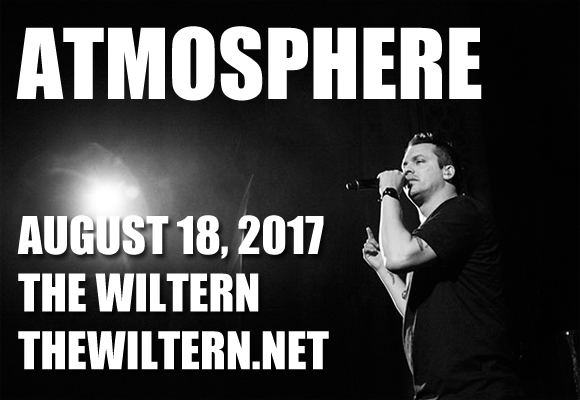 Underground hiphop legends Atmosphere are headed to The Wiltern on Friday 18th August 2017 on their Welcome to California Tour! The duo will be joined by ZULUZULUU, Greg Grease and DJ Just Nine as support and will be dropping the hottest tunes as they dominate the state of Cali!!! Hiphop duo Atmosphere, consisting of rapper Slug (Sean Daley) and DJ/producer Ant (Anthony Davis), was formed in the late 1980s. After bringing together the anti-gangsta rap hiphop clique Rhymesayers collective in 1995, Atmosphere released their debut album Overcast! In 1998, which went on to become an underground hiphop classic. The duo has released seven studio albums and ten EPs to date, and their latest album, Fishing Blues, was released in August 2016.